Properties in Utah average 4.7 out of 5 stars. Property 3: Butler Manor Carriage House, Great Location, Spectacular Views! Property 9: Pet Friendly. Close To Arches National Park, Canyonlands, And Colorado River. Property 12: 1 Bdrm Quiet Neighborhood in Holladay area of Salt Lake City. Call for specials. Property 14: Casita #1. In town studio, next to Main St. Outdoor Sauna. Remodeled Prospector Condo, Washer/Dryer, Fireplace, Kitchen, on Free Bus Route! Property 15: Remodeled Prospector Condo, Washer/Dryer, Fireplace, Kitchen, on Free Bus Route! Hurricane Apt. w/Pool - Near Zion National Park! Property 17: Hurricane Apt. w/Pool - Near Zion National Park! Park City Ski-In/Ski-Out Studio - Steps to Lift! Property 22: Park City Ski-In/Ski-Out Studio - Steps to Lift! The Honey Hive ~ A Great Place to BEE! Property 25: The Honey Hive ~ A Great Place to BEE! Fall/Winter Fun@theFrees! Cozy 2BR Apt by Costco! Property 26: Fall/Winter Fun@theFrees! Cozy 2BR Apt by Costco! Property 27: Spacious 2 Bedroom Basement Apartment w/full Kitchen and large living room. Updated, bright and clean. Close to downtown, city parks, public transit. Property 30: Updated, bright and clean. Close to downtown, city parks, public transit. Property 32: Conveniently located, 2 bedroom 1 bath, luxurious basement apartment. Property 33: Great view and quiet, private comfort. NEW! St. George Apt Surrounded by Trails & Golf! Property 35: NEW! St. George Apt Surrounded by Trails & Golf! Property 38: North Logan Apartment - Near Downtown & USU! 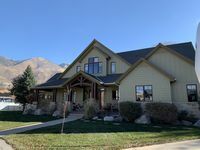 Property 41: Gateway to Zion - Sleeps 8! 'The Loft on Center' Downtown Logan Apt. w/ Deck! Property 43: 'The Loft on Center' Downtown Logan Apt. w/ Deck! Fabulous Apt. Convenient to Downtown, University, Skiing, & Transportation! Property 46: Fabulous Apt. Convenient to Downtown, University, Skiing, & Transportation! The apartment was sublime. Very private and filled to the brim with entertainment possibilities. The hot tub and the movie theater were fantastic!!! We were very comfortable, so much so that we rarely left. The dogs were sweet and we enjoyed the rustic noises of various farm animals next door. Just a perfect stay-highly recommend! Stayed 5 nights with a family of 5, was a nice spacious unit and things were very clean. Kids loved having TVs in all of their rooms. The only negative was the cooking supplies, the pans were in pretty rough shape so we had to get creative in how we cooked stuff. Also there were only 2 bowls we could find so we had to eat cereal in shifts. Pretty easy things to fix up and make this place a 5 star!